1 x Pair Bamboo Knitting Needles. This set of knitting needles are made from 100% bamboo. It makes a perfect gift for anyone interested in knitting, or perfect for working with yarns! Single Pointed. 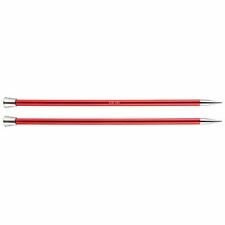 A pair of classic, single pointed knitting needles manufactured from the highest quality anodized solid aluminium. Size: 3mm (UK 11). ESSENTIALS KNITTING NEEDLES. 10.00MM PLASTIC. 9.00MM PLASTIC. 8.00MM PLASTIC. 7.00MM PLASTIC. 6.5MM PLASTIC. 6.00MM PLASTIC. 5.5MM PLASTIC. Simple Pointed Knitting Needles Feel Sweet In Your Hands, Perfect For Knitting Scarves And Sweaters Etc. Size: 35cm. Material: bamboo. The Needle Is High Pressure And High Tempreture Hardened To Avoid Breakages And Provide Longevity. Lesur Kitting Needles. Kitting Needles. 100% Aluminium. 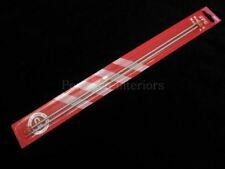 35cm (14") Single Pointed Sewing Knitting Needles Pins - 2.5mm. Condition is New. Dispatched with Royal Mail 2nd Class Large Letter. Rosewood knitting needles one pair 7mm 35cm. (ESSENTIALS KNITTING NEEDLES - ALL BELOW AVAILABLE :). 10.00MM PLASTIC. 9.00MM PLASTIC. 8.00MM PLASTIC. 7.00MM PLASTIC. 6.5MM PLASTIC. 6.00MM PLASTIC. 5.5MM PLASTIC. 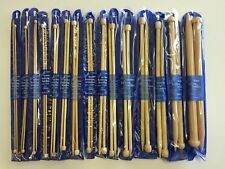 10 Pairs of Knitting Needles/Pins 35cm length. All 35cm long. 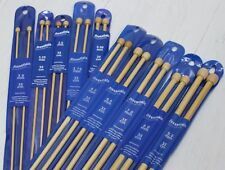 A fantastic starter set of knitting needles which would be perfect for beginners or as an addition to an existing set. Length - 35cm. 3mm Pony Knitting Needles. A pair of single point knitting needles. Made of lightweight hollow metal with a high shine that makes for a speedier knit. With a minimalist look, a durable and lightweight design is perfect for all users (including beginners). Each pair has a separate packaging and convenient to stored. 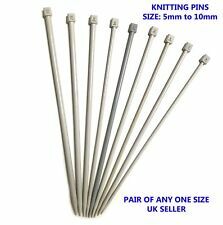 11 pairs of the Stainless Steel Single Pointed Knitting Needles. Metric sizes are marked at the top of all knitting needles. Include size: 2.0mm 2.5mm 3.0mm 3.5mm 4.0mm 4.5mm 5.0mm 5.5mm 6.0mm 7.0mm 8.0mm. Works with all kinds of yarns without slowing down knitting rhythm. 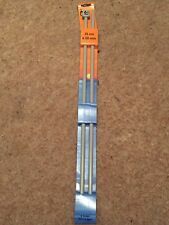 Length 35cm (14") each Choose between sizes 2-8mm Material Steel, Plastic Pair Weight 5 to 28.5g each Type Knitting Needle Set Colour Silver Brand Unbranded/Generic MPN DE713239804904 EAN 0713239804904. Pony Rosewood Knitting pins. Knitting Needles. 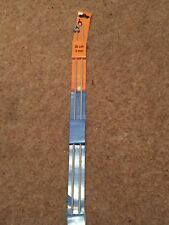 35cm x 9mm. 1 pair. Pony Rosewood Knitting pins. Knitting Needles.